Magic mushrooms, more commonly known as shrooms, are psychedelic mushrooms that produce euphoric and uplifting highs to the user. Yes, it is possible to combine magic mushrooms with weed. In fact, those who want to embark on a unique journey of self-discovery should consider smoking mushrooms and weed at the same time! Magic mushrooms are known for their ability to induce a hallucinogenic and euphoric high. The mushrooms’ main psychoactive compounds are the psilocin and psilocybin. When combined together, both compounds produce an intense and mild-altering effect to the user, which characterizes the feeling of high. The Psilocin in the magic mushrooms reacts on the serotonin receptors of the brain, which activates all of them. Furthermore, the compound will also indirectly increase the dopamine’s concentration on the basal ganglia. These are the reactors that are mainly responsible for the strong euphoric sensations that the users will experience when smoking magic mushrooms. Cannabis, on the other hand, is considered a downer, due to its sedative and calming effects. The high that the cannabis produces can be both sedating and euphoric at the same time. Of course, the intensity will mainly depend upon the level of cannabinoids found on the plant. Basically, a lower THC count will result in less psychoactive effects. Marijuana may also have negative effects on the brain’s ability to function in the short term. It’s known to negatively affect the brain’s motor function, reflexes, and coordination. This is why some users have decided to experiment by combining it with magic mushrooms in hopes to experience a unique effect. When combined, the magic mushrooms and cannabis will result in a synergistic effect. Some users have reported that including cannabis can increase the intensity of the mushroom’s effects, making them feel very relaxed all throughout. Users who are used to getting high from cannabis may encounter a different effect when taking a combination of both, especially once the mushrooms start to kick in. For instance, users who are watching a movie while getting high have noticed that the movie has become very darkened and gloomy. Smoking both weed and mushrooms has definitely helped boost the feelings of excitement for others who are taking the substances while going on a road trip! Both the cannabis and mushrooms have an indirect effect on the body’s dopamine, a neurotransmitter that’s known as the “feel good chemical.” The effect can also result in the feelings of motivation for the user. But this may also lead the brain to indecisive and repetitive patterns. By consuming both substances at the same time, the effects and intensity can greatly be enhanced. 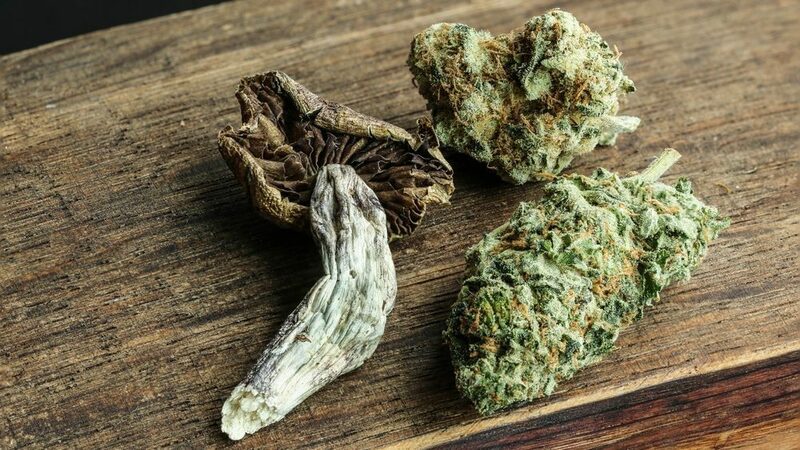 It might take a while before you get used to the effects of the combination of weed and shrooms, but regular users have agreed that mixing them can be a truly enjoyable and exciting experience. But for users who are not comfortable with the result, then using both substances together should be avoided. Previous PostPrevious What is the Use of Molasses When Growing Cannabis Plants?